Projects - manifestation of dreams. Our projects are targeted to grab peoples attention and to demonstrate the potential of new technologies in tangible and exciting ways. Generating demand for change is the primary goal. The Tumanako Project is an Open Source development effort to produce Open Source hardware and software to drive and recharge electric vehicles. Greenstage is a contributer and user of the Tumanako project. 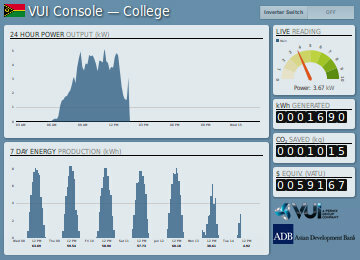 The SolarNetwork collects and analyses information from distributed energy solutions. It can also control and influence behaviour of distributed systems that are generating and/or consuming energy. Greenstage is a contributer and user of the SolarNetwork project. Our first project is the GS750V. By combining the amazing Saker GT chassis with the latest EV technology, this car is a no compromises electric race car. It's purpose? To beat the competition. Once we have our first GS750V completed and racing is underway we are going to focus on the road going version. As well as adding the necessary creature comforts, we will be developing the street look of the car. Stay tuned as the character of this car evolves. Once our marketing and sales revenue is supporting the racing and construction of new GS750V's the plan is to look to build an electric 4WD super car from the ground up. This will include a new composite chassis to accommodate all the necessary EV components and to take real advantage of the electric drive train. 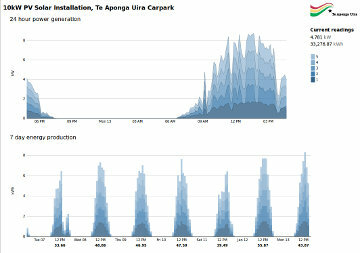 The Cook Islands electricity grid System Opperator "Te Aponga Uira" head office, custom visualisation and data recording from a 5 inverter installation running Enasolar inverters over wifi. 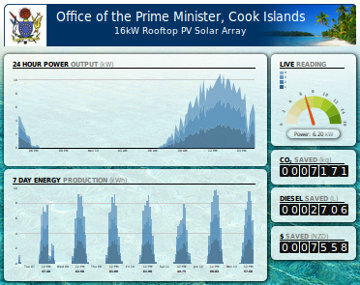 Cook Islands, "Office of the Prime Minister", custom visualisation and data recording from a 4 inverter 16kW installation running Enasolar inverters over wifi. Vanuatu College, custom visualisation, data recording and secure SSL encrypted remote startup and shutdown for grid stability. Download our PicoGrid Active Power Limitation Case Study for more information. 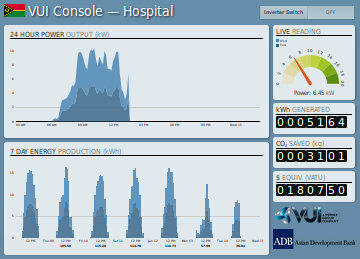 Vanuatu Hospital, custom visualisation, data recording and secure SSL encrypted remote startup and shutdown for grid stability. Vanuatu Sanma, custom visualisation, data recording and secure SSL encrypted remote startup and shutdown for grid stability.